Move the blue points on the sketch around in order to change the size of the parallelogram. Investigate the side, angle and diagonal measurements to answer the questions below. 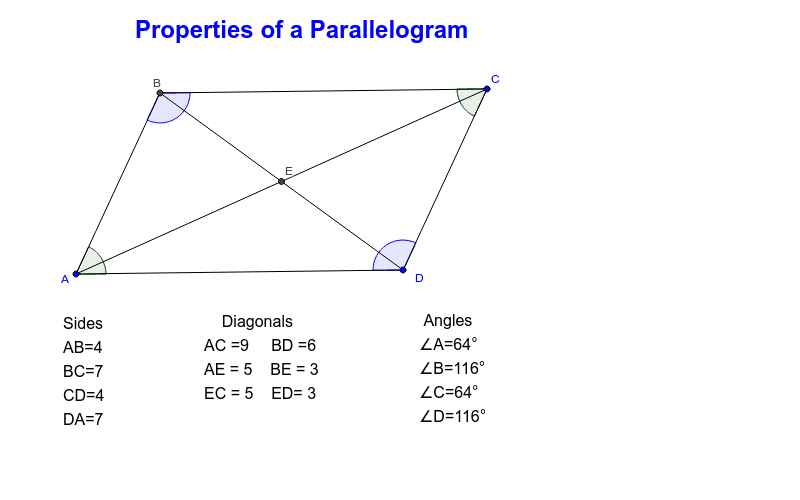 As you manipulate the size of the parallelogram, what do you notice about the side, diagonal and angle measurements?